Selrico is a high technology and knowledge based company focused on the perpetual evolution and growth of communications infrastructures. We partner with our customers to positively impact their networks which affect our country’s ability to be a world leader in the global knowledge and information based economy. Selrico’s vision is to nationally partner with our customers, integrating technologies that would positively impact their ever‐evolving communication infrastructures. 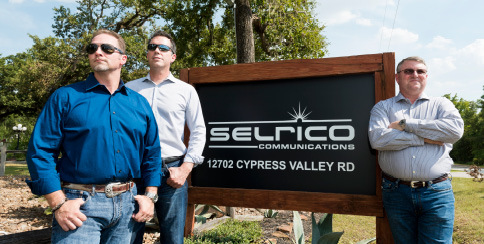 Selrico Communications is a small business that operates on a very large scale. With roughly 30 employees we manage to maintain a full schedule with a high satisfaction rating. As a Veteran owned business, Selrico supports our U.S. Military Veterans and works to provide employment opportunities to those who have applicable skills. For over 10 years, Selrico and its representatives have developed a reputation for presenting innovative solutions to its customers, helping to facilitate their design, construction and implementation needs within the customer’s provided budgets and timeline constraints.